Looking at the calendar, I can only shake my head at the fact that July is here. While our lives had already seemed busy, now that school is out our calendar is jam packed with play dates, summer camp, sports, classes, activities, road trips and more. As it seems like we are constantly on the go, I'm always on the lookout for great tasting snacks that are sure to keep my kids fueled and happy quickly and easily. At the same time, they have to have that ideal blend of great taste and quality ingredients that will make my kids happy while also passing my inspection. Fortunately, the Mott's taste that we already love is now available in fruit flavored snacks that, while not a substitute for fresh fruit and vegetables, are indeed made with real fruit and vegetable juice and natural colors and flavors. Even better? They're delicious! Available in Assorted Fruit and Berry varieties, Mott’s Medleys Fruit Flavored Snacks come in boxes of 10 pouches (0.8 ounces each, approximately seven or eight snacks) which are just the right size to pack in a lunchbox, throw in your purse or grab for a quick treat in the car. Considering that these are not only made with natural colors and flavors but that they provide 100% of your daily Vitamin C, are only 80 calories, and are gluten- and fat-free, what more could I ask for? In fact, I have to admit that the first day that we sampled these, I was just as excited as the kids. We pulled out the Assorted Fruit pouches first and found that they featured just the right amount of softness and chewiness without being sticky or messy. Of course we had to sample the Berry fruit flavored snacks as well. While the girls were happy with both types, I was partial to the Berry and found myself immediately addicted. Not too sugary sweet but of course just sweet enough that they made my mouth water. They're just that good! When it comes to a portable, convenient, fast snack for at home or out and about, Mott's Medleys Fruit Flavored Snacks are an option that kids are sure to love. While I wouldn't consider using these to replace actual fruit and vegetables, I know that there are times that a treat like this works well (that is, ahem, if there are any left at the rate that I've been going through them). From lounging by the pool to playing in the park to hanging out at the beach this summer, Mott's has snack time covered for the whole family. As an added bonus, for those who collect Box Tops for Education these boxes of fruit flavored snacks have double the points year round to collect for your favorite school. 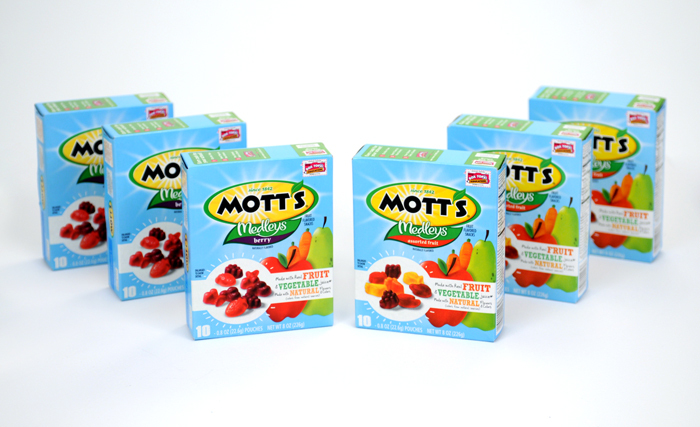 Four lucky people will receive a Mott's Medleys Fruit Flavored Snacks Prize Pack*! *Prize Pack contains three boxes of Mott’s Medleys Fruit Flavored Snacks in Assorted Fruit and three boxes of Mott’s Medleys Fruit Flavored Snacks in Berry. Disclosure: The product, gift pack, information, and additional sample have all been provided by Mott's® through MyBlogSpark. I would take them to work and on vacation with us! In the fall we are taking a trip to WA state, they would be perfect for the plane ride! We plan on taking day trips to the beach, Boston and New York City. At the beach or pool, and on road trips from here to there. They will be packed in our bag for trips to the playground and beach!! We are driving to our summer vacation so these would be perfect for the car! 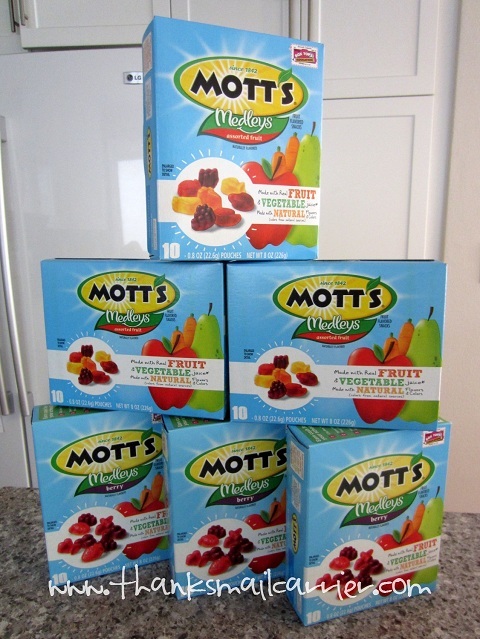 Motts would be traveling with my granddaughter and the kids where ever we go, I am always on the lookout for a healthy & non-messy snack to carry along to outttings,games,grocery trips &the like. Anytime with the grandkids when we go away that way they have a snack if they start bugging or get hungry. it would be going with us to the beach, zoo, and to their grandparents house. 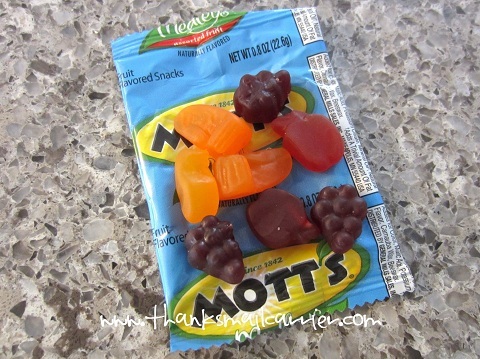 We would take Mott’s Medleys Fruit Flavored Snacks on our many visits to the zoo! I would take these to the park with me. These would be traveling in my purse! Everywhere! On all our day trips in the car and vacation to new hampshire. To the beach in SC and also to Washington DC. Thanks for the chance to win! It would definately be going to Swatswood State Park with me. To the beach and to the various summer camps my kids are attending. We're not taking any long trips, but we're taking a few day trips this summer, to Atlanta (Six Flags) and to see family. Traveling around town as we do election campaigning. To the park or in my backyard when I have my barbecues and pool parties. Probably in the car as we drive to Chicago! These would be great for the road trips we have planned to Wisconsin and Tennessee! Back and forth between grandparents house. this may be following me on road trips to Massachusetts, to see my family! Always need tasty snacks along the way! I would take them to amusement parks, have some in the car in case we needed a snack, and bring them outside for snacks when we get out of the pool. They'd be great to throw in the diaper bag for when momma needs a pick me up! To the Beach or day hiking in the State Parks near our home! I always keep fruit snacks in the kids bad. You never know when you will need a snack! We would take them out on our boat. They would be awesome for hikes! Just keep them in your pack for when you need seomthing sweet! These would be great for our trip to Wyoming. To swim lessons for an after class snack! They would travel with us to Grandma and Grandpa's house. We'll be bringing these to the park. Thanks for the chance to win! Traveling to the beach with us this year! Mott’s Medleys Fruit Flavored Snacks will be traveling to Myrtle Beach, SC with us. They would be staying home with my family. Things always taste better from the comfort of your own home. To camp with my son. 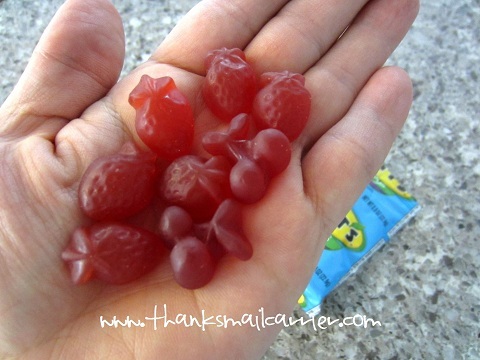 I'd take the Grape Blend fruit snacks to the zoo this summer. Everywhere! My kids love them! I would put some in my purse for when we go to the park! I'd take them with us on weekends when we go camping. Thanks. this would come camping with us. thanks for hosting! We would take them to the park, the beach or camping with us! Thanks so much for hosting this great giveaway! I would pack them in my lunches. I would snack on them while working. These would go to the park, the pool, or the library for the lunchtime reading or movie times that they do each week. To Florida! Great airline and theme park snacks. They'll go everywhere with me and my family. We take them to the park and pretty much anywhere else we go on day trips, and I take them to work almost every day for lunch too. They'd be traveling to our new home across town from where we currently live. We'll need snacks available for that first week or so while we get settled! I like to have snacks in the car, so I can have something to eat before hitting the gym after work. Probably all around the city since we don't have anything big planned. Leave a comment on this post telling me where Mott’s Medleys Fruit Flavored Snacks might be traveling with you this summer if you win. They would travel to the beach! I would take them to Road Trips. Mott’s Medleys Fruit Flavored Snacks might be traveling with me to the park. I'd take them with me to work! Thank you! To Gatlinburg, Tn for a week long vacation. To the splash pad, or if we can get them past TSA, on the airplane! If I win, they'll be going to Louisiana with me when I move there. To the pool and the backyard! These would travel with us on our trip to New York. On our road trip up to Northern California. We would enjoy them by the pool in the backyard. 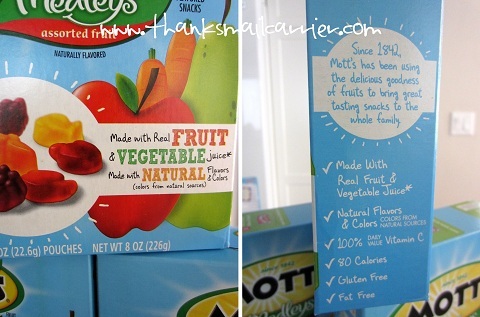 Mott’s Medleys Fruit Flavored Snacks might travel with me to Indy :) *Thanks* for the giveaway! These babies would be traveling back and forth to grandmas house several times this summer.. she's a luck girl and would be even luckier with these. These would be great for our bicycling trips. memphis, tn and the pool! Traveling with my son to day camp! where ever i go in the car,theyll be with me!! To the beach since they don't leave a sticky mess. I would take them to our overseas trip. I would take these to the beach or the springs. Thanks for the awesome giveaway! My kids would love this! I will take them to the beach. Thanks for the giveaway. I will take them to the park with us! We would take them camping in the mountains with us. they will be traveling with me to mexico!!! It would travel with us on our honeymoon road trip! We'd take them to the playground. Mott's Medley's fruit snacks will be traveling with my family to summer camp this year. Up north for on the lake! our road trip to michigan. I'd love to take some to the beach! Hello, how are you? Thank you for this opportunity. The Motts snacks would travel with me every where. to the parks to the store everywhere we go!